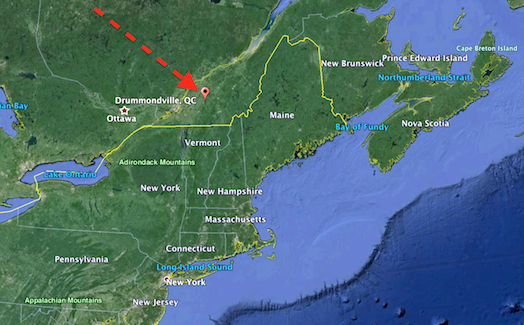 UFO SIGHTINGS DAILY: UFO Seen Over Drummondville, Canada On Sept 17, 2015, UFO Sighting News. 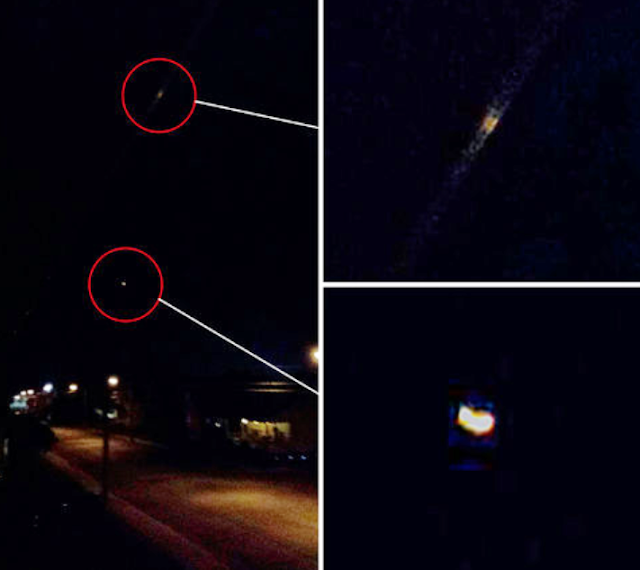 UFO Seen Over Drummondville, Canada On Sept 17, 2015, UFO Sighting News. Canada seems more open about revealing the truth about UFOs than America. What I mean is the Canadian Defense Minister often tells the press about how the movements are hiding aliens information. But the number of UFO researchers is growing daily, and we will break the government wall soon. Thursday night around 22:15, Jennifer Cyr was with a friend on her balcony, on St. Frederick Street in Drummondville, when she saw a strange light shining in the sky. "I said," Look Claudine, there is something special in the air! '"She told us on the phone. "It went on, but always in a horizontal line. It was orange, she added, it was reminiscent of Chinese lanterns. " She said the unidentified object, which had somewhat the look of a "lamp" or a "fireball" moved slowly to the end of the street. "It was still at low level was too low to be an airplane or a helicopter," she says. The 26 year old woman has just had time to take a photo with his smartphone before the light disappears. Pictured (below), one can see a very bright point in the center and another, more diffuse, up the image. "When you really zooms the photo earlier in the photo you see there as a second point," Ms. Cyr tip. "It's like a spark of light with as bars on the side, as if it would be something solid." Intrigued, Jennifer Cyr, who confessed we believe in aliens, did some research on the Internet to see if similar phenomena had already been observed. Indeed, another object "orange ball" similar to that described by Ms. Cyr had already been observed in Victoriaville on 15 August. 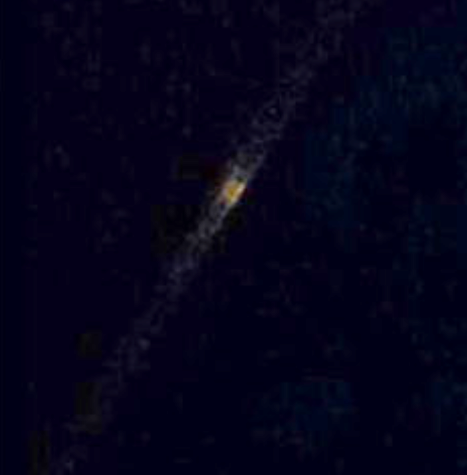 A witness quoted on the website of the Quebec Association of Ufology reports seeing "orange spherical object and he had a light beam of a pale orange".